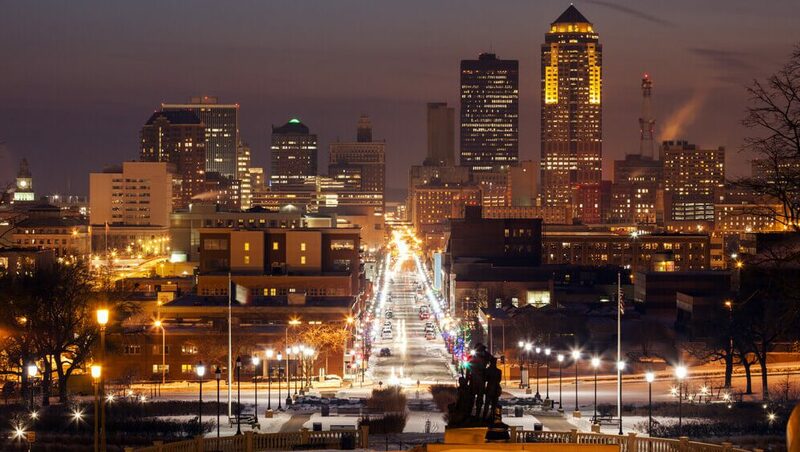 Des Moines, situated in the heart of corn country, has historically been known for its agricultural roots. But the Iowa capital city is also marked by solid employment anchors, inexpensive housing and low business costs. 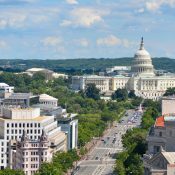 Those characteristics have drawn an influx of real estate capital as investors chase renters increasingly interested in its small-city charm. That demand has translated into an apartment building spree in recent years. 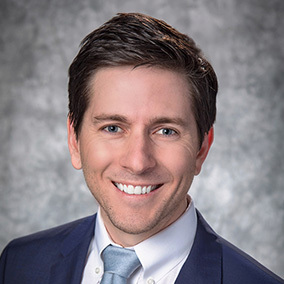 As of mid-2018, Des Moines ranked #1 in the Midwest region in terms of annual net inventory growth, and fifth place nationally. But after years of elevated delivery volumes, completions are poised to drop off in the near future. The amount of new apartment product that came online in the past year remains well above the market’s historically normal levels. But those 2,145 new units made up the lowest annual delivery volume since March 2017. The recent supply wave extends back to 2015, when annual completions first broke 2,000 units, before cooling off in mid-2016. After a new wave of construction starts appeared, supply levels picked back up, and completions reached an all-time high of nearly 2,700 units in year-ending 3rd quarter 2017. Those units expanded the existing apartment base by nearly 6%. But this time, there is no wave of new starts accompanying the slowdown in supply. Construction volumes have actually declined by nearly 63% in the last year. As a result, new supply is expected to continue to taper, with the market scheduled to receive just over 500 units in all of 2019. Supply levels have not been that low since early 2014. Moreover, trends in permit volumes have been slowing, which should lessen the likelihood of another supply wave anytime soon. Lots of new supply in recent years has weighed on apartment performance in Des Moines. 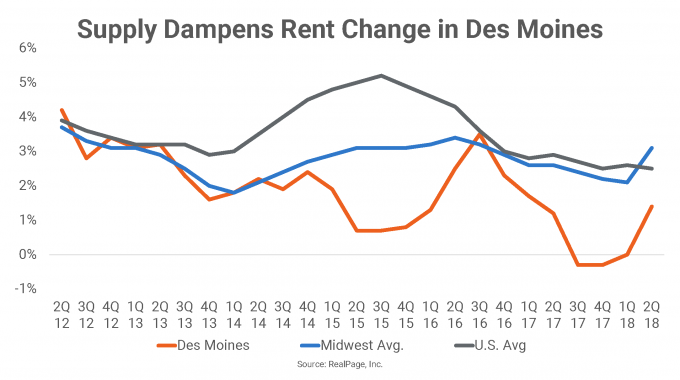 In all, Des Moines’ apartment grew 16.8% since 2015, and operators have had difficulty filling units as quickly as developers brought them online. 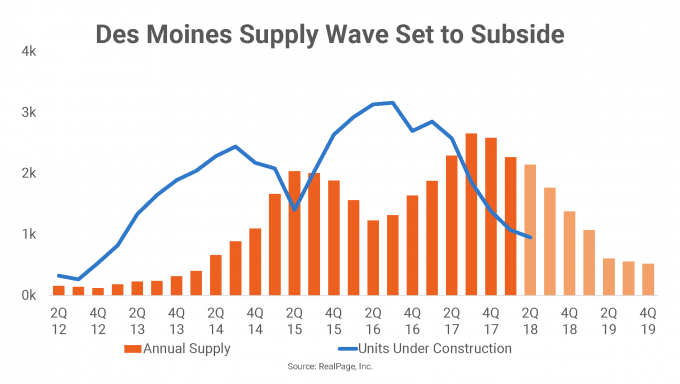 Absorption has trailed supply over the past two years, causing occupancy in the market to backtrack – particularly in the Northeast Des Moines/Ankeny and West Des Moines/Dallas County areas, where most of the new development is concentrated. Additionally, supply-related backtracking that had been isolated to upper-tier apartments earlier in the supply wave has trickled into middle-market product in recent quarters. In turn, operators of all product lines have adjusted rents accordingly. Rents fell on an annual basis in three of the past five quarters in Class A and C product lines. Over the same time, Class B units registered rent growth of roughly 1% or less. 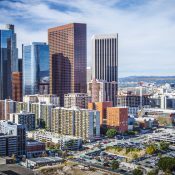 For the market overall, annual rent change has remained around 1% or less over the past five quarters, when annual supply averaged around 2,400 units. 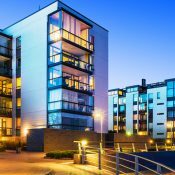 However, the market’s demand drivers remain intact, and apartment absorption is expected to remain strong as supply levels fall. This should contribute to tightening occupancy as absorption pulls the slack out of vacant inventory. In turn, this should have a positive impact on apartment rent growth. Indeed, the market’s solid employment anchors are likely to provide stimulus. Perhaps one of the things Des Moines is best known for is its high concentration of financial services and insurance jobs. The state capital, sometimes called the “Hartford of the West,” headquarters more than 80 insurance companies such as American Enterprise Group, EMC Insurance and Nationwide. The concentration of insurance jobs in Des Moines is three times the national average. The biggest employer in the metro is Wells Fargo Home Mortgage services, which employs more than 14,000 people. The tight labor market, large stable employment anchors and intensifying capital investment all provide stimulus. Low employment volatility should continue to provide tailwinds to Des Moines’ labor market. Further, the low cost of living should continue to lure younger demographics. In turn, as new supply has begun to subside, apartment performance has shown some improvement. 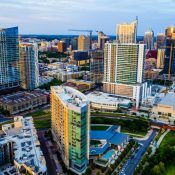 Annual rent growth registered at 2.0%, the best performance since 2016, and occupancy landed at 94.3% in mid-2018. 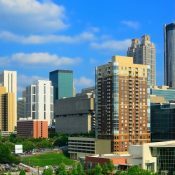 Over the coming year, economic momentum should continue to fuel apartment demand and upward rent growth momentum. 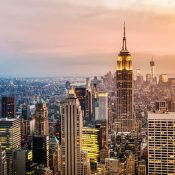 Occupancy is expected continue to rebound, and operators are likely to become somewhat more aggressive with rents.